When: Saturday afternoon, June , 1-4 p.m. Please join us for the Rainbow Divers annual summer party. 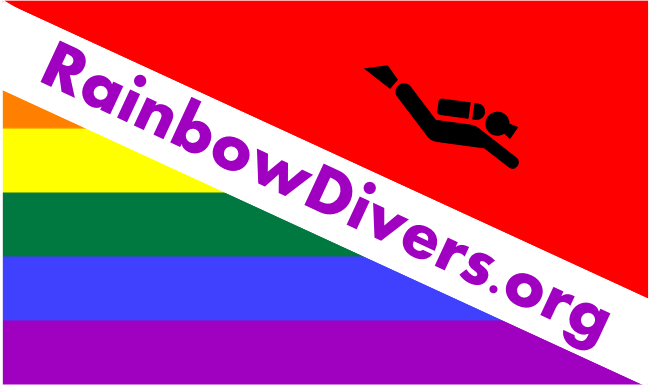 This will be a fun afternoon of socializing with fellow Rainbow Divers, sharing memories of your dive experiences (bring your photos), meeting the current Board members and volunteers, making new friends and dive buddies and learning about future club trips and events. There will be plenty of food, plenty of fun. Feel free to bring a friend, whether they dive or not. This year the party will be held at Kathy and Connie's house in San Francisco on Pride Saturday, June 27, from 1-4pm The street address will be provided once your online registration is confirmed. then come to the summer party and have some fun! For planning, we'd like to know how many people will be coming, so please register. If after registration you decide not to go, please cancel your registration or send us an email, so that we can keep an accurate count of attendees.